I’ll be honest: Beckett baffles me. Not so much when I watch his plays. I can totally sit in a theatre and watch Beckett performed and glean meaning, pleasure, sadness, and depth. (Well, expect for ENDGAME. ENDGAME just straight-up baffles me.) But on the whole, yeah, I can watch me some Beckett. BUT: As a person occasionally (partly) responsible for helping to create those experiences… there I’m afraid I’m at a loss. Beckett, it is said, works best when you watch his plays without trying to dissect the elements of them; when you allow the sum of the pieces to wash over you as a whole. But when you’re an artist working on creating that whole, it’s your job to dissect the pieces - or at least YOUR piece - and therein awaits a certain abyss. 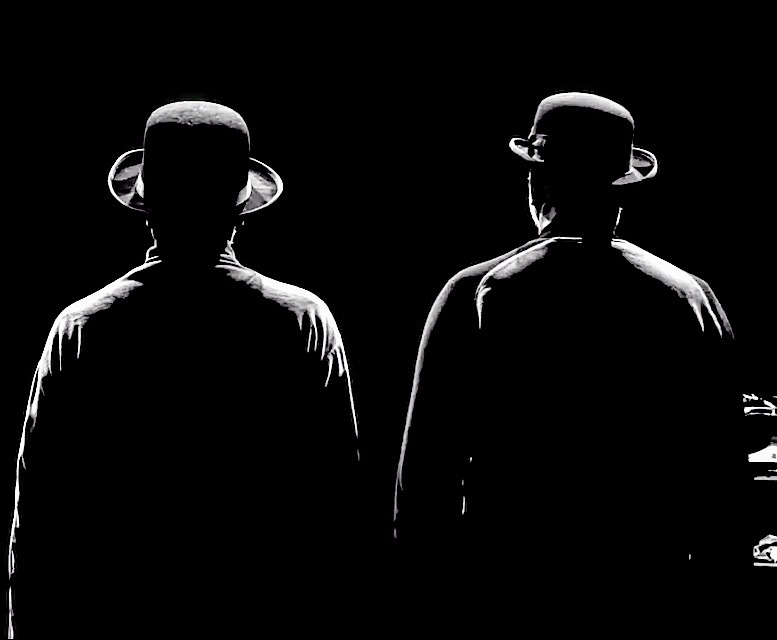 I’ve recently had the pleasure/dismay of gazing once again into that particular abyss while working on WAITING FOR GODOT at the Quintessence Theatre Group. My piece to dissect: Pozzo, the narcissistic, slave-owning traveler, who interrupts and visits with the play’s two main characters, Didi and Gogo for a chunk of each act, accompanied by his “menial,” Lucky. The “absurdist” genre that Beckett wrote in – though, yes, “defined” is possibly more accurate – is a space beyond the familiar rules of our daily existence. He turns a rather fractured mirror back onto the world, such that if you stand close to the glass you would be able to recognize the gently broken image of yourself, but the larger room (or world) beyond you would be so distorted by the cracks and fissures, that its familiarity would be much harder to seize hold of. All the pieces would still be there, but scattered and rearranged into something different. And that distortion is, one assumes, the point. Beckett takes a familiar thing that we might take for granted, and sets that familiar thing in an unfamiliar place, which then makes it possible to evaluate all of it in a whole new way. The principle is easy enough to grasp. 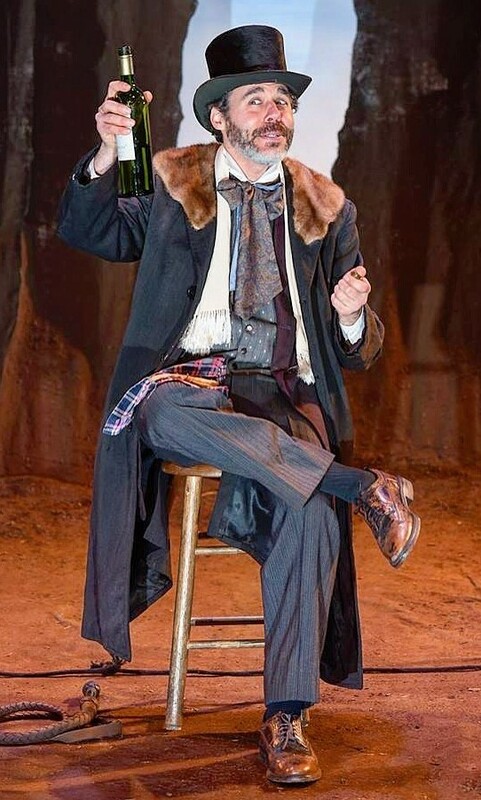 Putting it into practice, though, well…..
Pozzo, (being my current example), is presented in the text of GODOT with scant few details about his personal history or existence. We first meet him at the “master” end of a long rope whose “servant” end is tied around Lucky’s neck. 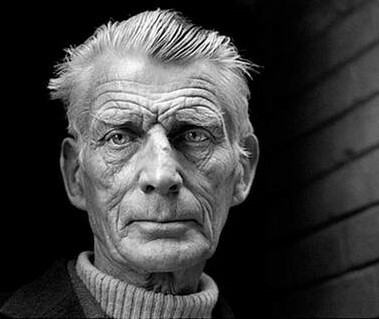 Though Beckett provides great detail about the manner of their entrance - how they are tied, what they are wearing, what they are carrying - he provides no specifics about either man’s physical appearance, where they come from, or quite exactly where they are going. In short, Pozzo is not “normal”. No matter how you choose to play it, he simply does odd things in odd ways, and I found it intimidating to consider how to make sense of it all; how to chart a set of choices for my performance. Where exactly do you drop an anchor and pick a point to work outward from? First, my job as the actor is to focus on the text I am given and to make as many decisions as possible based on the basic information contained therein. I guess that seems a little obvious, but really, if the playwright is good, everything you really need should already be in the script. I think that is very much the case with GODOT. Second: Given the first supposition, I must then trust the director (in this case, Ken Marini) to make all of the larger thematic and aesthetic decisions for the production, including how exactly my character should fit into that. I just don’t think it’s possible to see the whole effect of a Beckett play from within it. I think that can only be done from the outside. So that has to fall on the shoulders of a director, perhaps more so than with any other playwright I’ve worked on. So, I mined my text to establish certain touchstones to help me localize character choices for Pozzo. 1. Pozzo’s kinship in narcissism to certain modern-day political personalities. 2. The idea that Pozzo and Lucky, perhaps, used to be part of a big traveling circus, for which Pozzo was possibly the Master of Ceremonies/Owner. 3. And finally, (and maybe on something of a whim), Ken suggested that I try taking Pozzo’s semi-famous speech describing the end-of-day twilight and turning it into a song instead, which resulted in the vaudeville-ish, music-hall-style tune I offered during the show each night. The result was, I think, a unique and original Pozzo, yet one still very rooted in Beckett’s text. I cannot and will not claim that I’ve got him “right”, or that we produced the correct result. I must leave that to those who observed the show as a whole, being first our director, Ken, and then each night’s audience. I can accept a full range of responses, both positive and negative, to my version of the character. Everyone will have their own sense of taste, and anyone is certainly allowed to disagree with mine (or Ken’s, depending on how you look at it). I will only argue that we did not get it “wrong”, because for there to be a “wrong” way, there must also be a “right” way, and I think that for a play like GODOT, and a playwright like Beckett, who was notoriously reluctant to explain his characters or his plays any further than what he wrote in the texts themselves, then as long as you are honoring that text, then you are not doing it “wrong”. Anyhow, as Higgins tells his mother at a key point in PYGMALION: There’s no sense bothering about that now, the thing is done! A friend pointed out recently that it’s a rather unusual thing for an actor like myself, at a (yes, relatively) young age, to already have performed in two of Beckett’s plays. It’s something I hadn’t considered, but he is probably right. Maybe that means I’ll be a little further along towards grasping Beckett’s deeper designs when the next opportunity comes around, whenever that might be. Maybe I’ll get to that spot where the light gleams for an instant before time really does stop, maybe not, but that’s just how it is on this Beckett of an earth.